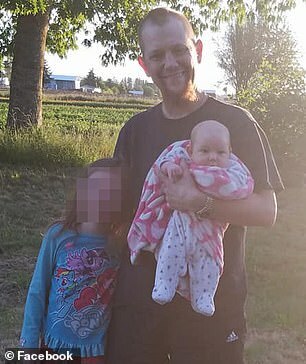 A rural Oregon man killed four members of his family at the home they shared and was shot dead by police as he tried to kill an eight-year-old girl. Mark Leo Gregory Gago, 42, killed his parents, his girlfriend and their nine-month-old daughter on Saturday night before deputies shot him. 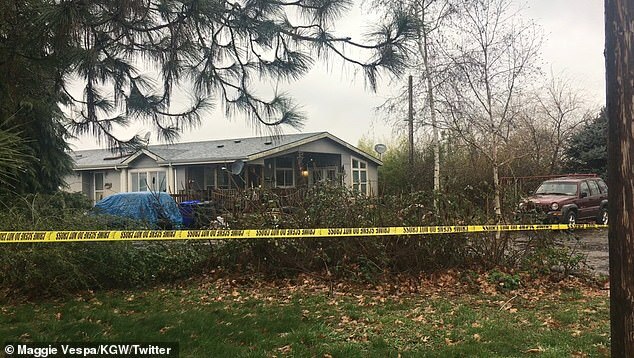 Deputies arrived at the home in Woodburn, Oregon and found a 'horrific' scene, according to Clackamas County Sheriff's office. Sheriff's Sergeant Brian Jensen said the victims were not shot dead and they are investigating what was used to kill them. 'We're not sure what was used at this time. I've been told that there were numerous weapons, swords, things of that nature in the residence,' he said. Neighbors said one of the weapons used was an axe but authorities have not confirmed that. 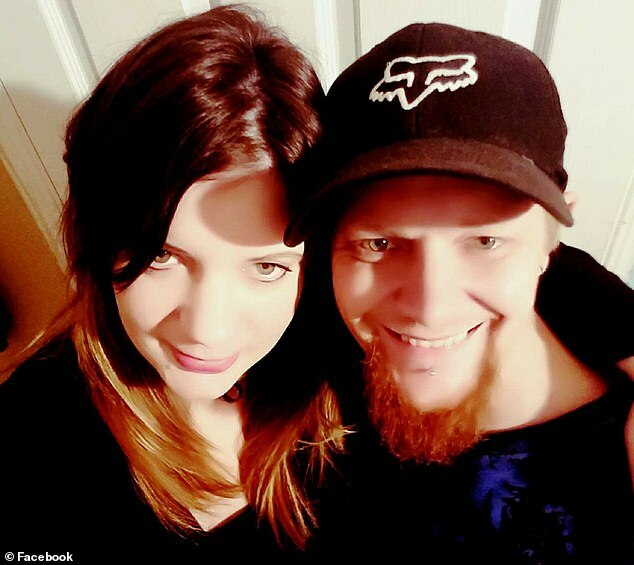 The sheriff's office identified the victims as nine-month-old Olivia Gago, his 31-year-old girlfriend Shaina Sweitzer and his parents Jerry Bremer, 66, and Pamela Bremer, 64. Gago was attempting to kill his girlfriend's eight-year-old daughter when he was killed, according to the sheriff's office. Two family members survived the attack and were taken to nearby hospital with injuries that do not appear to be life threatening. 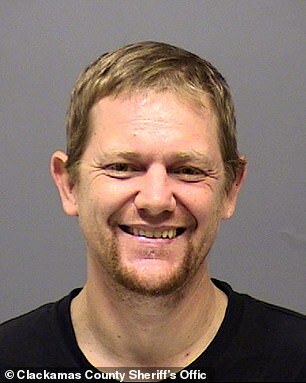 They are believed to be the eight-year-old girl and a roommate who was also living at the home. Authorities said they were investigating the incident as one of 'extreme domestic violence'. The sheriff's office took an emergency call from a resident of a home at about 10.15pm on Saturday. The caller described a violent and hectic scene, Jensen said. He added that arriving deputies found a 'horrific' situation. 'It was described as violent and a pretty hectic scene was being described to our call takers… deputies found deceased adult female outside the residence,' Jensen said. A neighbor told KOIN 6 News she did not hear anything Saturday night. However, she got email from the Clackamas County Sheriff's Office telling her about the homicides. She was 'shocked' when she heard the news. A neighbor who did not want to be identified said one of the two survivors of the quadruple homicide ran to his house, bleeding. He claimed that she told him Gago attacked her in her sleep with a weapon. She said she fought him off and escaped, saying that she believed he was high on something. He told KGW News: 'She was yelling that she had been attacked and we needed to call 911. 'My daughter was walking across the yard and she ran into the house and called me. 'I went and talked to her and let her into the property and called 911. Asked did she know what happened, the neighbor responded: 'She said she was asleep in her bed and Mark woke her up by attacking her.